I painted this bowl in December 1996 for my dog Sam in Seattle (technically it was Bellevue). Since then, Milo and Ripley used it in Seattle and London, and now Busby and Piper use it; first in San Francisco, and now in Amsterdam. 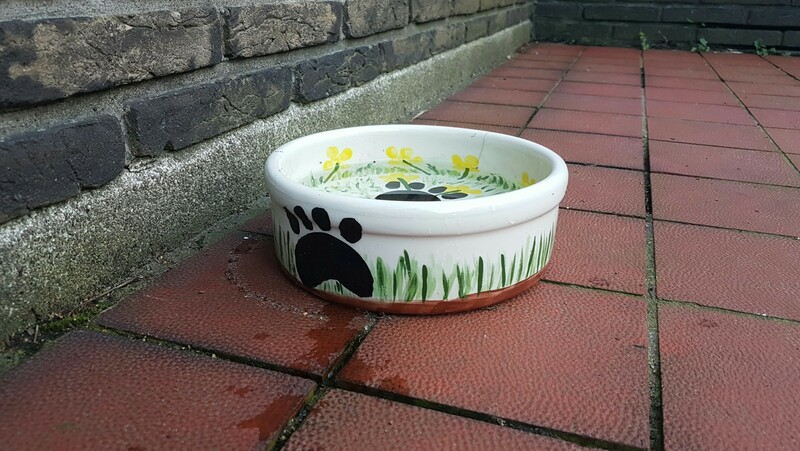 It’s Busby’s go-to water bowl, but I think that’s because he likes to drink water outside where I keep the bowl. I don’t understand his logic, but at least he’s enjoying the bowl now that it is in Amsterdam.